Mouldy grout is a problem often faced by homeowners and is caused by common bathroom bacteria which thrives when left to grow in warm and wet environments. Because baths and showers provide the perfect place for bacteria to breed, it can quickly get out of control if the right precautions haven’t been taken. To make matters worse, grout is particularly porous which means moisture soaks into it and allows mould to take root deep inside. With that said, we thought we would offer some hints and tips on how to combat the problem. Not all grout is created equal. The first step in keeping mould at bay is using a mould-resistant grout. 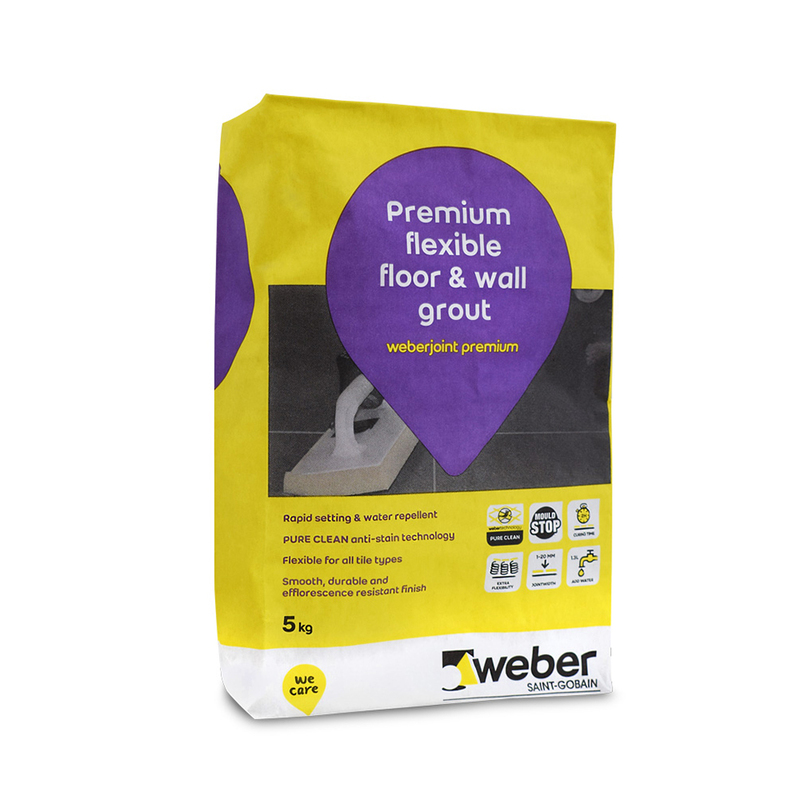 All Weber tile grouts are formulated with Mould Stop Technology which makes the surface of the grout inhospitable to mould spores. This prevents mould in two ways: by resisting water, and by containing ingredients that kill mould. It’s also safe to use with all types of tile, including ceramic, porcelain and stone. 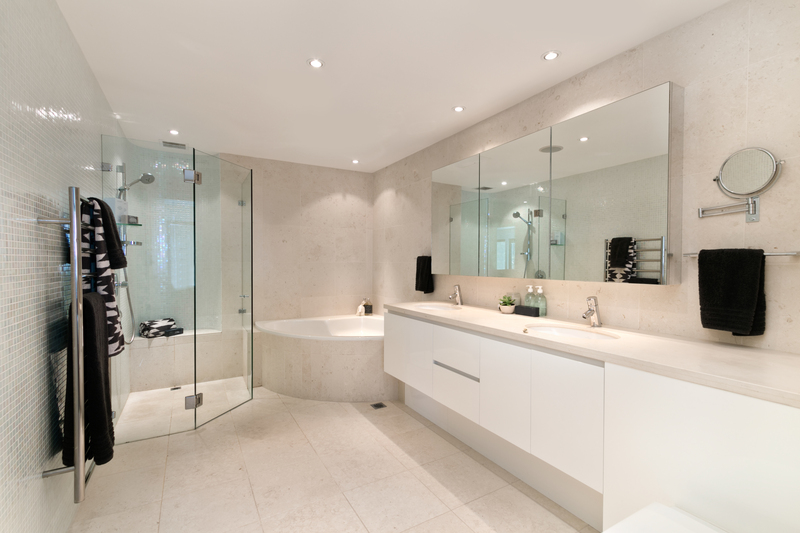 Mould loves moisture and flourishes in humid areas, so it’s best not to leave bathrooms full of steam at the end of a bath or shower. Even opening a window can make a massive difference, quickly letting the moisture out and fresh air in. If it’s too cold to do this, or if your bathroom doesn’t have a window, an extractor fan is a good alternative for ventilation. However, some fans don’t create enough air movement to help prevent mould and may need to be replaced with one that has a higher capacity. It doesn’t take long for baths or showers to build up a level of grime, so staying ahead of the cleaning will pay dividends. A swift wipe down a couple of times a week will be more effective than an intensive scrub once a month, as it stops bacteria settling long enough to produce mould in the first place. Occasionally, something stronger than soapy water, such as bleach, can instantly stop new mould in its tracks and keep it from coming back for longer. Just make sure to do a quick patch test on a small area of tile to make sure it’s safe to use. Avoid using bleach on coloured grout as this can cause it to fade. When it comes to mould, prevention is always better than cure. If mould has already started to form then there are some cleaning agents that can get rid of it in its early stages. Specialist mould cleaning products are available from most supermarkets. More natural alternatives include white vinegar and baking soda, which are both harmless and safe to use on coloured grouts and on all types of tile. Just leave the chosen cleaning agent to soak into the grout, then use a brush to scrub off the mould. When removing mould make sure the area is well ventilated, both during the cleaning process and for a couple of hours afterwards.